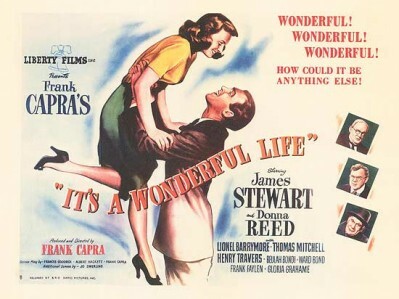 My favourite Holiday movie is Frank Capra’s classic, It’s a Wonderful Life with James Stewart and Donna Reed. I think it’s because it’s a story that redeems and reaffirms my faith in humanity – who doesn’t need a little dose of goodness every once in a while, right? An interesting fact about It’s a Wonderful Life – even though it was released at Christmas time it wasn’t intended to be a Christmas movie; the producers only released it in December because they wanted to make the deadline for the 1946 Academy Awards cut off date. When the film opened wide in January 1947, it was considered was a box office flop. Thanks to a copyright black hole when no one owned the rights to the film from the 1970s to 1990s, TV stations could play it as often as they wanted and not have to pay for it. And now, it’s one of the most highly viewed, quintessential Christmas movies of all time. I watch it every Christmas, happily cozied up on the sofa with my lazy, snoring dog. And year after year, it makes me cry. I know the story, I know what happens, and yet, it tugs at the ol’ heartstrings and the floodgate of tears opens. It’s a good, cathartic, ‘remember the truths of the universal’ kind of cry and I love it (I’m a big sap). Even though it’s a familiar story now (if you haven’t seen it, please do yourself that favour this Holiday), which has been remade countless times in various formats but the original is still the best. 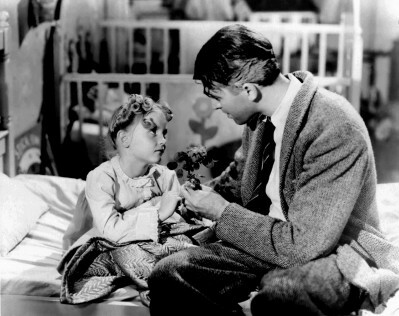 One of my favourite details in It’s a Wonderful Life is when Zuzu, George’s daughter, is worried that her flower is losing its petals. The flower means the world to her; it’s her most valuable possession. Like a dutiful dad, George carefully and slyly puts the petals in his pocket for safekeeping. It doesn’t seem like anything more than a quaint moment of a father taking care of his little girl, but it’s so much more. It’s while his guardian angel, Clarence, shows him what life would be like if he hadn’t been born that George reaches into his pocket and discovers the petals are not there. The premise, of course, is that if he wasn’t born then Zuzu wasn’t either. And the petals wouldn’t exist. When he returns to his real life, he reaches into his pocket and finds Zuzu’s petals in a moment of complete and utter joy. Little petals with lots of meaning. And, that’s when my when eyes well up and I slowly become a big sobbing puddle. Every time. For me, Zuzu’s petals are little reminders to be grateful. It’s this time of year, more so than any other, that I take time to reflect and feel gratitude for the things, people and moments in my life that bring me joy, tears (definitely a theme here), pleasure, and comfort. My job can be quite stressful and chaotic (a rushed media scrum on a red carpet, pre-dawn TV morning show with a client who’s not awake yet, dealing with the aftermath of an actor’s cancelled itinerary, running late on a press day, frantically meeting press deadlines – might all explain my high blood pressure – even a spelling mistake can turn my day upside down) and sometimes I get caught up in the craziness of it all and forget to breathe. Zuzu’s petals can pull me out of that insanity and back into a calm place, and bring me joy. They can be a surprise text from a friend, a kind gesture, a beautiful sunset, a memory, etc. A Zuzu petal is anything that reminds me I am loved and that is really the most powerful thing there is. Taking time to reflect on all the Zuzu’s petals in my life is what I need to reenergize and reinvigorate myself to tackle the New Year ahead. All this to say, take some time to watch your favourite Holiday movie this festive season and breathe, or laugh or cry, or laugh and cry at the same time (I do that too!) just don’t forget to breathe, because it’s the little things that are important in the day-to-day chaos we call a wonderful life.